I am sure you all missed my usual summary of my week last Friday, which I cannot link to because it doesn't exist. Yes. That is why you didn't see it. It's not that I didn't do anything last week, it's that I didn't do as much as I'd planned to with all those wonderful 2017 goals and objectives I was talking about a few weeks ago. 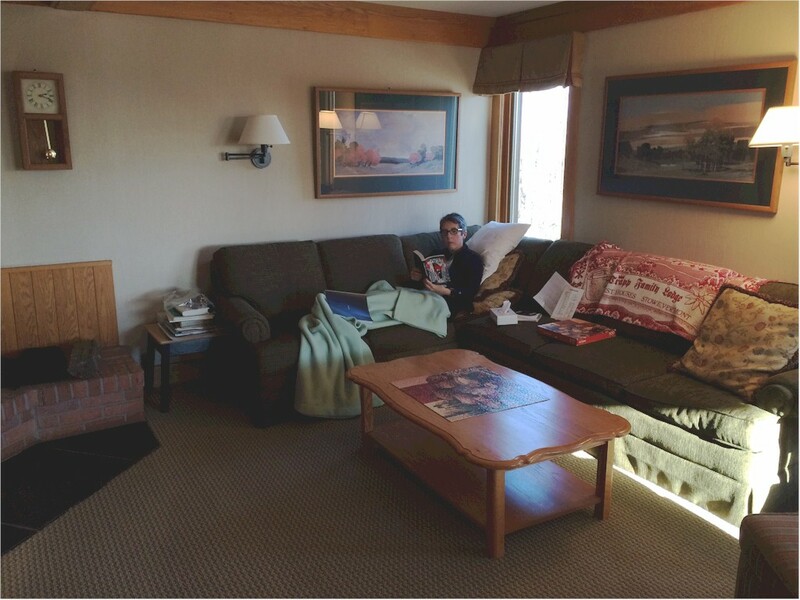 It wasn't just that I was back from Retreat Week, and it's hard to get back into work mode after retreating. No, what happened is that I got sick on Retreat Week. And while I wasn't all that sick, when I got home, I didn't get better. By Monday I was coughing all day, and while I was able to make a tour of some town libraries to pick up Cybils books Tuesday morning, by that evening I was miserable with a headache, and the next afternoon I was on the couch all afternoon with a fever, and the fever came back Thursday night, and Friday I was told I had bronchitis. So there has been no consistent sticking to goals in a time efficient and productive way. And while I'm feeling better this evening, I'm afraid it won't last, even though I've been chowing down antibiotics for three days, haven't had a fever since Saturday, and am hardly coughing at all. And if it does last, I need to step up my elder care work to relieve the family member who has been covering for me these last two weeks and then there's a follow-up appointment I haven't even made yet to a doctor to make sure my chest has quieted down. All of which will take time. Time when I won't be working. Fortunately, I had something similar happen--in January, again, as a matter of fact--three years ago. Actually, that was much worse, because it involved surgery. I got over that and went back to work. What's a little bronchitis? Let's go over the lessons I learned then. Last week is over. It's time to give up regret over it not turning out the way I expected it to. The work I need to do for family is in the future. Dwelling on it will only cause anxiety. Stay focused on the present and what I can be doing right now. If I'm in this house right now, I can be working. When you're sick, or recovering from being sick, thinking about working in week-long or day-long or sometimes even afternoon-long units of time can be a big mistake. When it can't happen, you get discouraged. You risk succumbing to the dread What-the-Hell Effect. When you're sick, or recovering from being sick, you may have a much better chance of hanging in for forty-five minutes. Or thirty minutes. Or even twenty minutes. You can get something done with a number of small units of time. Which beats getting nothing done at all. I kept the blog up last week, for instance. Blog posts are great for small units of time between fever spikes. I got my Chinese New Year post done and up, which actually supported a goal for this year. I finished revising a chapter. Okay, it was a three-page introductory chapter, but it was an important piece of another goal. I've got a good start on next month's Connecticut Children's Lit Calendar, and while a few times this past week I was too uncomfortable to read, I have only one and maybe three-quarters books of Cybil reading left to do. It is not what I imagined doing last week. But if I can put away what I imagined I was going to achieve, I can recognize that last week wasn't a waste. Without the unit system, it would have been. 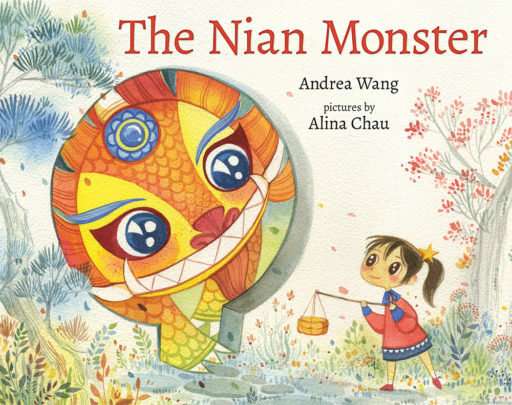 Speaking of my Chinese New Year post, as I just did: I'm offering a chance to win a copy of Andrea Wang's marvelous The Nian Monster. Check it out and leave a comment.